October Fundraiser Is A Success! Our first local Let’s Share the Sun Foundation Fundraiser was a huge success. 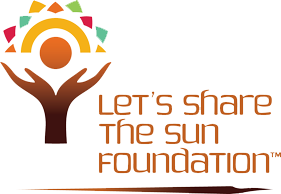 On October 15th, 2011, over one hundred people gathered at Pat’s Barn in the Rennselear Technology Park to celebrate the mission of the Let’s Share the Sun Foundation. We raised $4,250. which will be dedicated to the completion of the solar electrification of the Quanaminthe School. This donation will make a concrete sustainable difference in the lives of these students and the larger community. Richard Hansen, the President of Soluz, returned to Haiti on October 17th, just two days after our event, and shared ten of the sponsored lanterns with the students from the Quanaminthe school. This is what makes us different. As a small nonprofit with strong working partners in Haiti, we can ensure that your generous donations will reach Haitian people quickly. Thank you so much to all who attended or donated! You helped light up the lives of these young students.